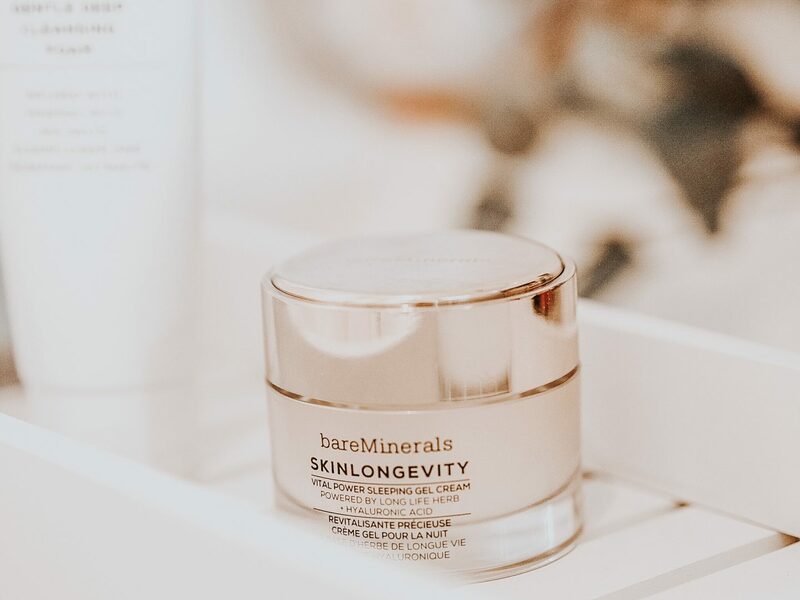 So I’ve been trying out some bits from the Bare Minerals Skincare range and I wanted to write up a little review for you guys in case you’ve been looking for some new skincare products, or you wanted to specifically try out some of the range from Bare Minerals! Firstly, the simple white packaging of this product is the perfect fit for a cleanser and I’m loving the minimalistic look and feel to this. I’ve been using this product to remove my face makeup and it feels so good on the skin. The foam lavas up slightly and when rubbed in and it’s used to draw out all impurities on the skin. The thing I love about this cleanser is that it is exactly what it says it is – it’s very gentle. So it’s great for sensitive skin like mine especially. The cleaner itself is infused with elderflower and rosemary extracts and mineral rich salts, and therefore it smells devine! It’s super quick and easy to use to cleanse the skin and honestly leaves your skin feeling silky smooth! Also at £18 it really isn’t bad at all – would recommend! If you want GLOWING refreshed skin in the morning – the put some of this cream on at night! Honestly, my skin has never felt so smooth and hydrated since using this night cream. 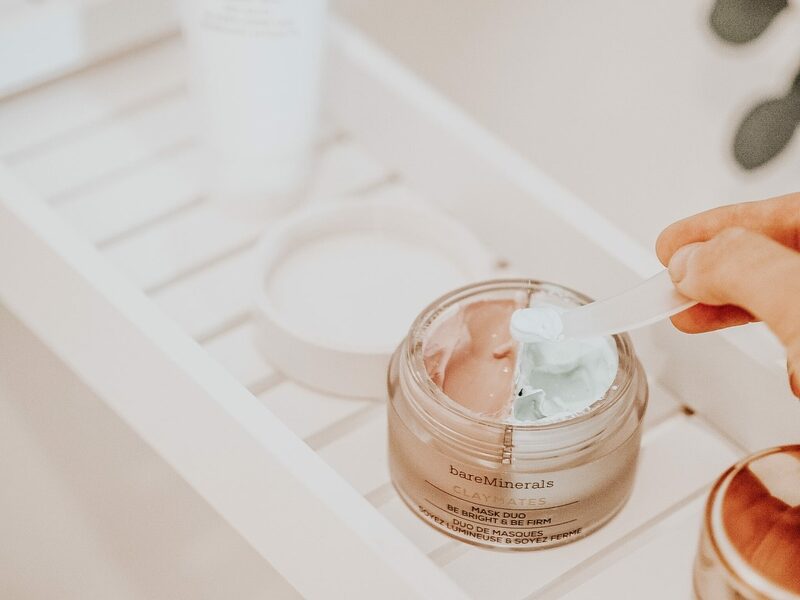 The cream claims to replenish and nourish the skin overnight whilst locking in moisture and it also includes a mineral rich superfood called Long Life herb which works as an antioxidant, helping skin recover from daily stress! Also, I wanted to comment on the packaging of this product as well. This comes in the most gorgeous little pot with a rose gold tinted lid. It’s so aesthetically pleasing! This retails at £35 and honestly is one of the best gel creams I have tried. Lastly, I wanted to share my thoughts on the new bareMinerals Clay Mates mask. This is such a great mask is not only does it have great benefits for your skin, the colour co-ordinated sections of the mask are designed so that you know what areas of your skin you should cover your face with. So with this particular mask, the purple mask is infused with Pomegranate Extract and Papaya Enzymes which gently exfoliates, to reveal a most bright, fresh looking complexion and the green mask you apply to areas that need a bit of tightening and is infused with Kale Seed and Watermelon Extract, giving skin lots of moisture and a plumped appearance. This hydrating formula helps to reduce the look of fine lines and wrinkles and leaves skin looking firmer and lifted. I certainly felt my skin feel a lot more tight and plump after using this mask and it was honestly so refreshing! The aromas that come from that little tub are just devine and it is so worth paying the £32 for it! 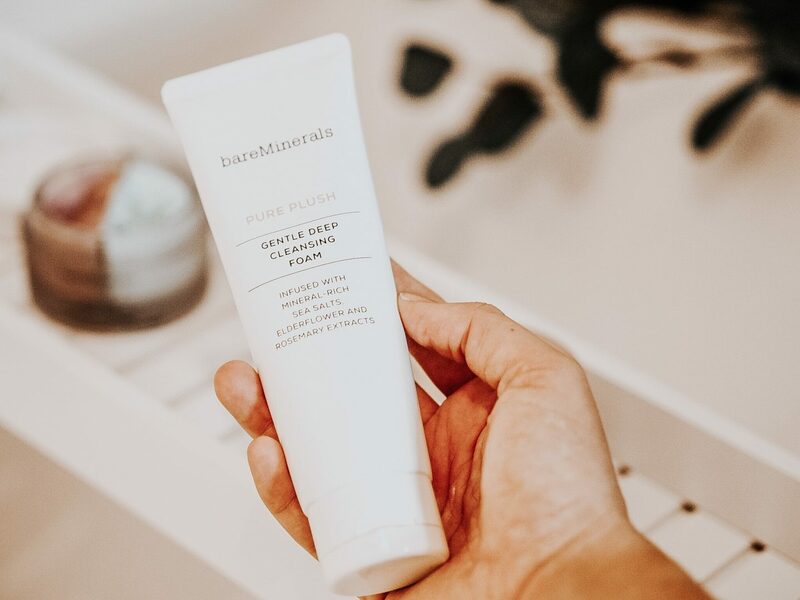 Have you tried anything from the bareMinerals skincare range before? If so, what would you recommend?